Is it December yet? No? sigh!!!! Well a good reason I want it to be is because Rogue One: A Star Wars Story comes out in theaters! The cast includes Felicity Jones, Diego Luna, Ben Mendelsohn, Donnie Yen, Jiang Wen, Mads Mikkelsen, Alan Tudyk, Riz Ahmed, and Forest Whitaker. 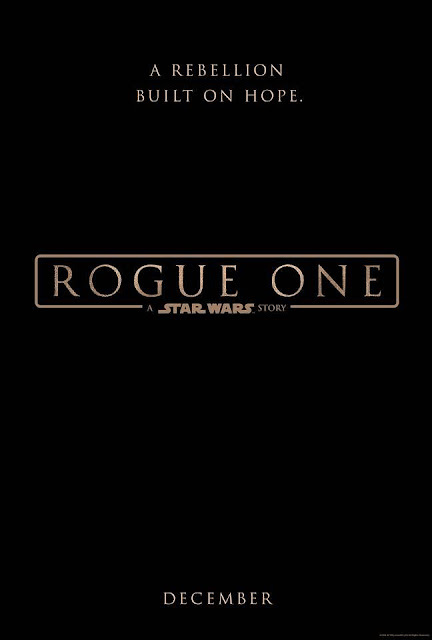 ROGUE ONE is directed by Gareth Edwards, produced byKathleen Kennedy, Allison Shearmur, and Simon Emanuel, executive produced by John Knoll and Jason McGatlin, and co-produced by John Swartz and Kiri Hart. I have heard of star wars, of course, but never seen it. I have never been a fan of science fiction. It's amazing that they're pushing it already. I do like scifi but more of a Star Trek or Stargate fan I should say, like SG-1 and Stargate Universe. I enjoy those reruns but sadly no new shows. This one is new to me so thanks for the teaser trailer! Wow!!! I am excited because I am a huge Stars Wars fan. The cast sounds amazing!!!! I really like the actors Ben Mendelsohn and Felicity Jones. I hate it when they tease us about movies that won't be coming out for 8 months.